A musical portrait of the lesser known Kanyok people, their various direct and indirect Luba neighbours of southern Congo and the urbanizing Katanga mine culture. Amazing xylophones, likembes of immense beauty, great grooves, gourd singing, the first Katanga guitars – so much richness!. Historical recordings by Hugh Tracey. Total time: 68'53". 20 page booklet. Tracklist: 1. Drum Message I, 2. Chindol Wa Mukaleng, 3. Luwend, 4. Mal' Yoo-yooy, 5. Bwal Bwany, 6. Drum Message II, 7. Tschiluw, 8. Musambo Wa Maja, 9. Butuk, 10. Wa Lwend Chombel, 11. Mangaay, 12. Kabondo Musambo Wa Changachanga, 13. Wa Kabwalala Wa Beena Luluwa, 14. Mambala Rhythm, 15. Kaleleke Wetu Yamba Mwana Wa Mbaya, 16. Kazadi Ngandu, 17. Kemai, 18. Lumpumgu, 19. Kankenene Kambula Mushete, 20. Masengu, 21. Kashama Wa Ndiambo, 22. Mambala Dance, 23. Bandemai Dodile Bulanga. 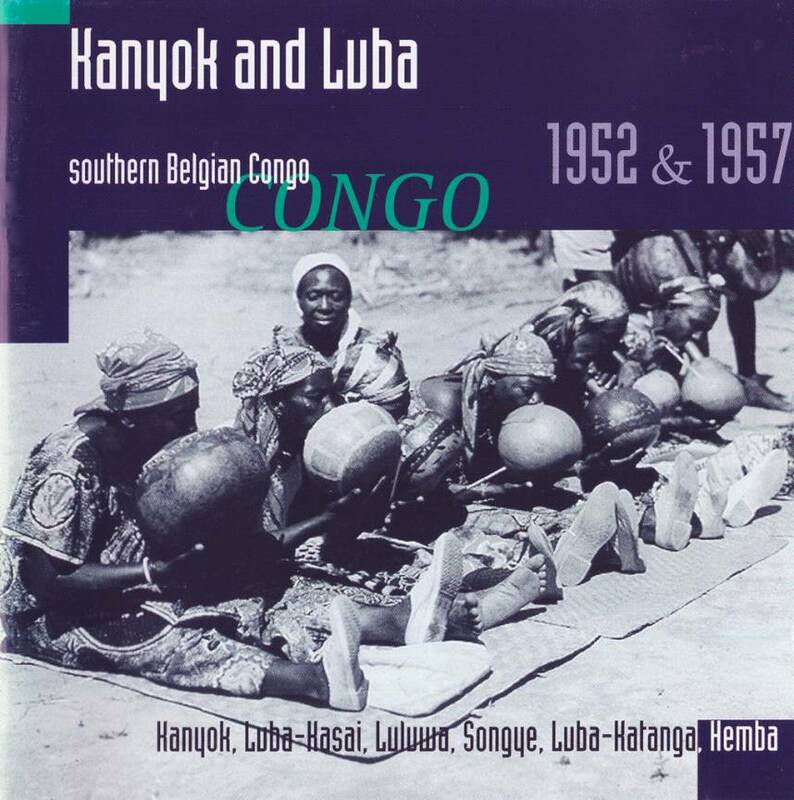 The New York Times 1999 (USA): "Hugh Tracey’s ethnographic documents of Congolese music, compiled by SWP, were recorded nearly 50 years ago and sound as if they come from another world."